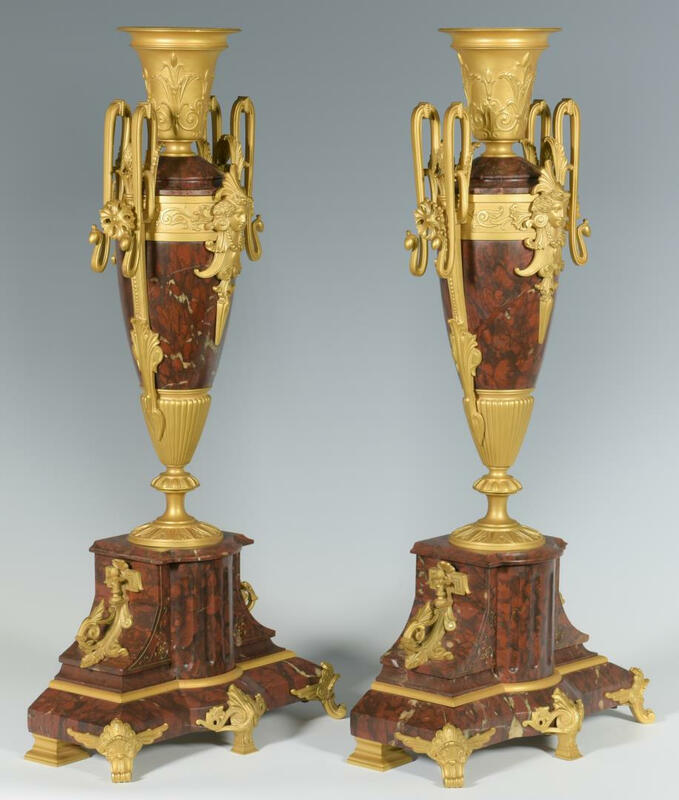 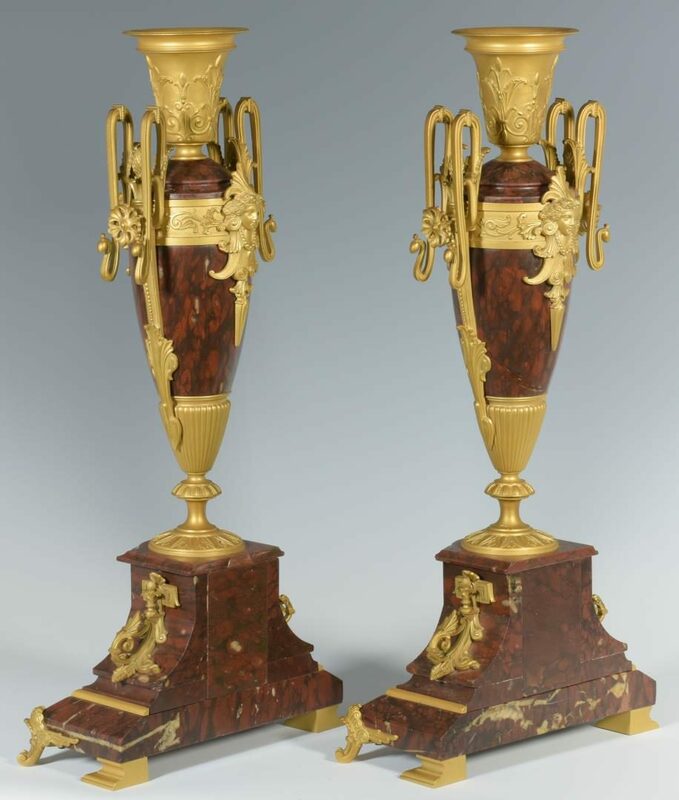 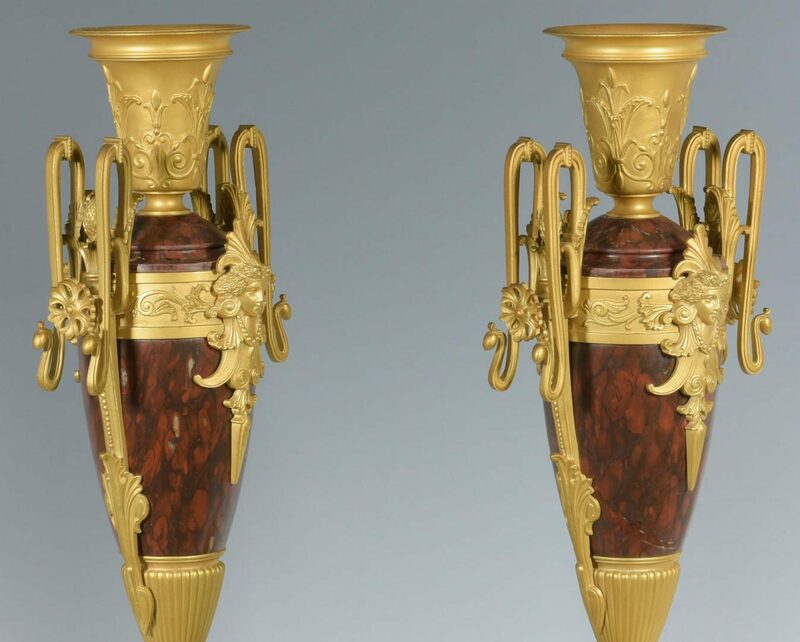 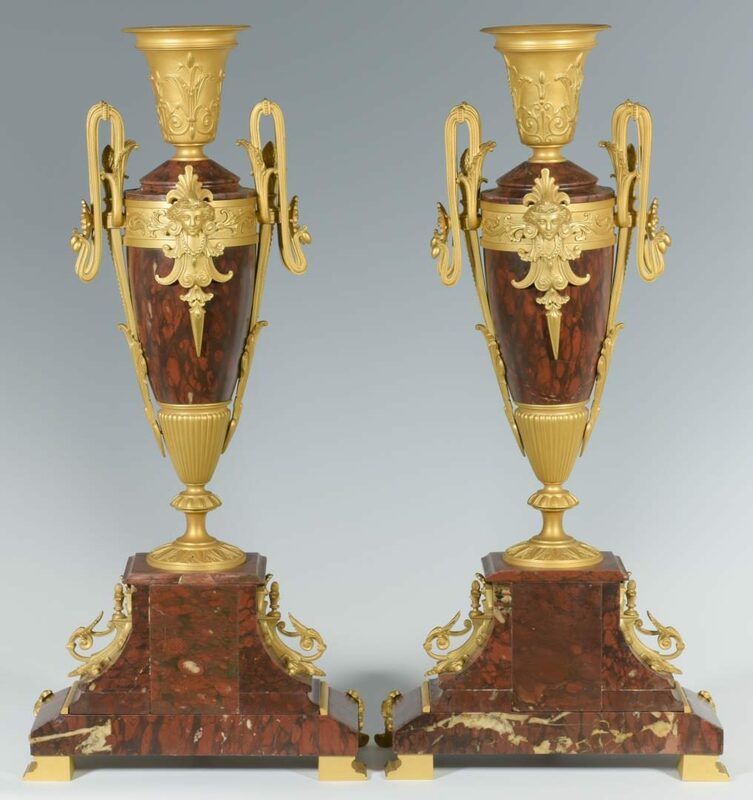 Pair of Aesthetic Movement red marble urns having etched foliate decoration, gilt bronze mounts including bronze capitals, bases, foliate handles with pineapples, masks around the upper body; mounted on a red marble plinth with gilt bronze mounts and feet. 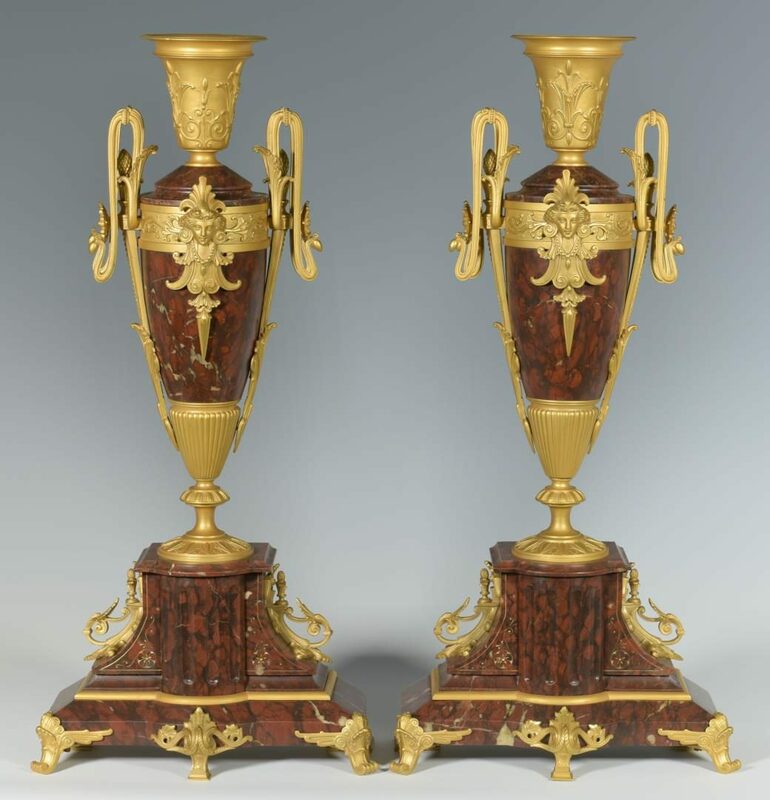 21" H. Late 19th century. 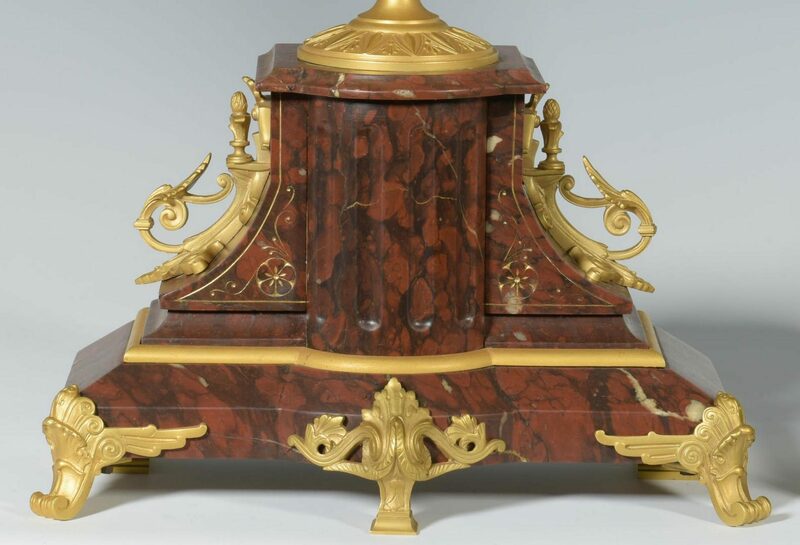 CONDITION: One with chip to back corner of marble on the base, otherwise overall very good condition.